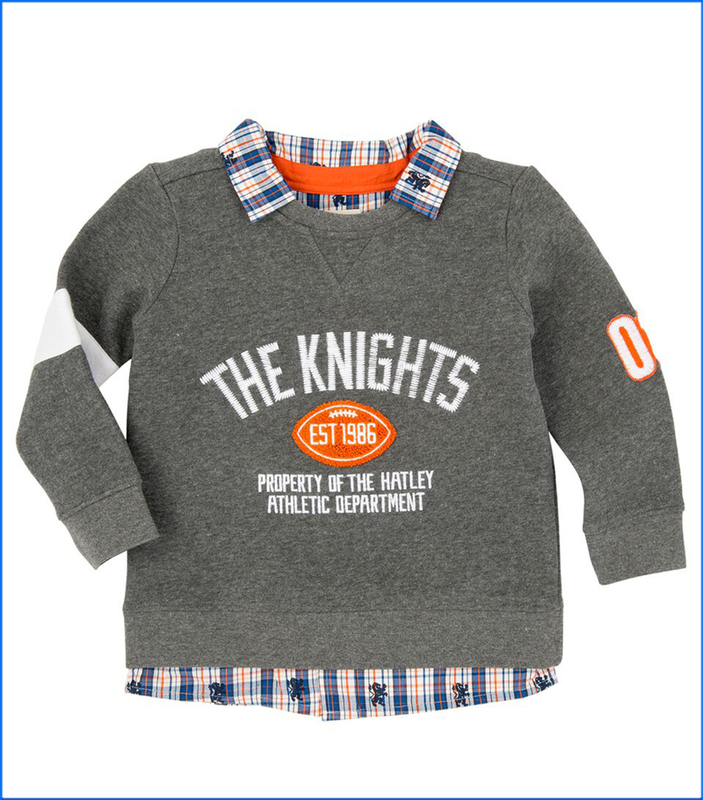 He'll be the big man on campus in this sporting upper-classman look. Plaid print fooler shirt layered over sweatshirt. Details include stripe and jersey number on upper arms.